Welcome to my review of Millionaire Middleman! I’ve being getting some requests to look into this training program and have finally gotten around to it. Is this place a scam? Is this the real deal? Are you going to be able to make $10,000+ a month like some of the successful students that they have shown in testimonial videos? When it comes to a high-priced program like this one, there is always some worry and suspicion. The high price tag makes it seem like a top-notch program, but at the same time you are wondering if it is just some massive scam. In this quick review I am going to get my personal opinion of it and whether or not I think it is something worth buying into. 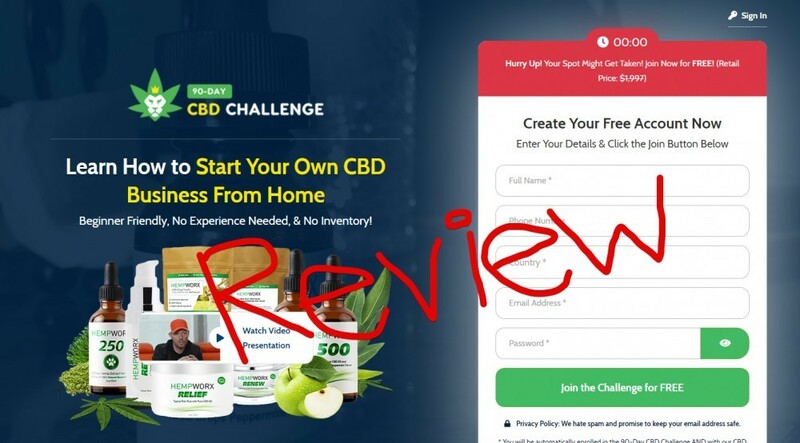 And by the way, I am not promoting this program trying to make money, so this review is as unbiased as possible, unlike many of the other ones you will see out there. In a nutshell, Millionaire Middleman it is basically a training program (also provide you with some tools) that helps you make money online by creating an online ad agency and getting paid by businesses…. working as a middleman. The focuses on running local Google ads for clients, doing it better than they were doing themselves. This program will show you how to set up your agency without doing any tech work, pick up clients that are willing to pay you good money, and outsource most of the work so that you are basically the head of the whole thing and keeping it running, but really not doing much to get your hands dirty. Who are Chance and Abdul? Both Chance and Abdul our people who actually do what they teach. This is a great sign because you see a lot of crappy “make money online” programs where the creators don’t even know what the heck they are teaching. These guys make a living doing what they are teaching you and they know how it all works. I’ve watched several different videos with these guys and one thing that I’ve noticed is that they seem very normal, and very relaxed. They aren’t running their mouth talking about how you’re going to become a millionaire in the next week or anything like that. They take a realistic approach and aren’t trying to sucker people into buying the program. This is the type of ethics I like to see. Abdul is supposedly making somewhere around $2 million a year off of only around 20 clients and Chance is doing over $70,000 a month. So what you will be doing is looking for clients that are spending money running ads for their business but aren’t doing a great job. That is where you step in and show them how you can make them more money, and where they hire you to take over the work. Like I said… You are running an ad agency. What exactly you will be doing I’m sure you have seen quite a bit but maybe just never really realized it. You know when you are searching for some sort of product or service online in your area and there are ads that appear at the top of Google search? This is what you are doing…. You are helping businesses run ads more effectively and efficiently. And if you do this, making them more money, they will gladly pay you. But how do you go about finding such clients? In the program much of the focus on finding clients is on using LinkedIn. They have all their tips and advice for getting in contact and closing a deal with high-paying clients. 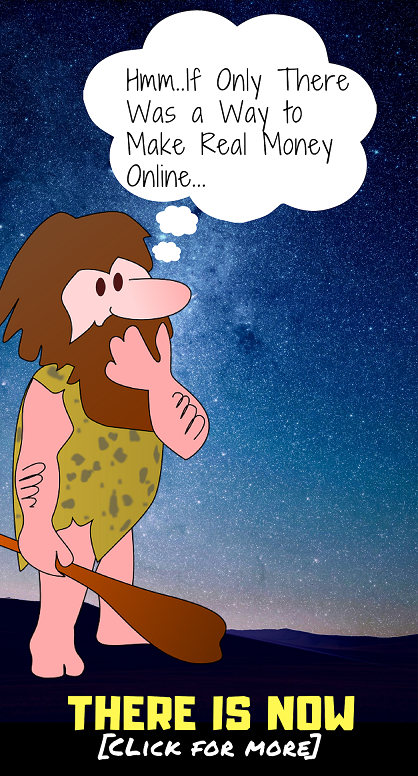 Are Online Agencies Really The Next Big Thing? One thing that I definitely noticed over the past several years is that there seems to be a trend in online agency creation. This isn’t the first online agency training program that I have come across. Sam Ovens Consulting is another training program that I reviewed which is focused on creating your own digital consulting firm, which is actually pretty similar to this… But I’ll get into that. Do I think there’s opportunity here? Definitely… I think there is a time of opportunity making money from clients like this, and so many different ways to go about it. There are many brick-and-mortar businesses advertising their services, but not really doing that good. These are the opportunities that you can swoop in on. I’m just going to address this question real fast because I know everyone is wondering. The answer isn’t a good answer however. The results can vary a time, as you can imagine. They tell you that you should give it at least 30 to 90 days to see results, but of course some people make money even within a week or less, while others take much much longer. Just like any online business, I am sure there are a heck of a lot of people that fail to make any money, and give up, and then there are those that go on to see great success. When you buy into a program like this getting good support is always a big deal. Based on the limited amount of information that I have been able to find, the support seems pretty good. They have a helpful community that you can easily get help from in a timely manner. It seems that they let a very limited number of people into this program, which is probably why their support is of such good quality… They simply don’t have tons and tons of people to be supporting. The fact that they do just let anyone buy into this program is evident by the 1 on 1 call that you have to book with them if you want to get in. Honestly, there is very limited information on this. There really not many reviews in this could very well be because there just aren’t tons of members out there. I did come across some obvious fake reviews online trying to push people to buy into the program, but not many at all that seem to be actually real. That said, there our quite a bit of video testimonials out there where Abdul has chatted with students that have been a success and they do seem to be legitimate and genuine. Something I also want to mention is that Millionaire Middleman is partnered with The HOTH, which is a reputable SEO agency that has been around for years and has helped many small and large Fortune 500 companies grow their businesses online. Why is this important? Well… It’s not really. However, I just wanted to point this out because I am very familiar with The HOTH and know that they would not jeopardize their reputation by partnering with some scammy system, which goes to show that Millionaire Middleman is the real deal. I’ve reviewed a heck of a lot of scams online and this does not seem to be one of them by any means. I know this review didn’t provide all that much insight into the training program and what exactly it provides you with, however I hope I gave you a good overview of how it all works and whether or not it is a scam. You also might be interested in taking a look at how I make over $6k a month online or my personal top picks for making money online. Welcome to my guide on how to become an affiliate marketer for Amazon. You came to the right place if you are looking for a looking for the right way to go about this, because... well.... I'm an affiliate marketer myself who makes a living doing this stuff. ... and of course it has all the benefits of making money and being your own boss... which include being able to work when you want from where ever you want. Overall it is a great choice for beginners. 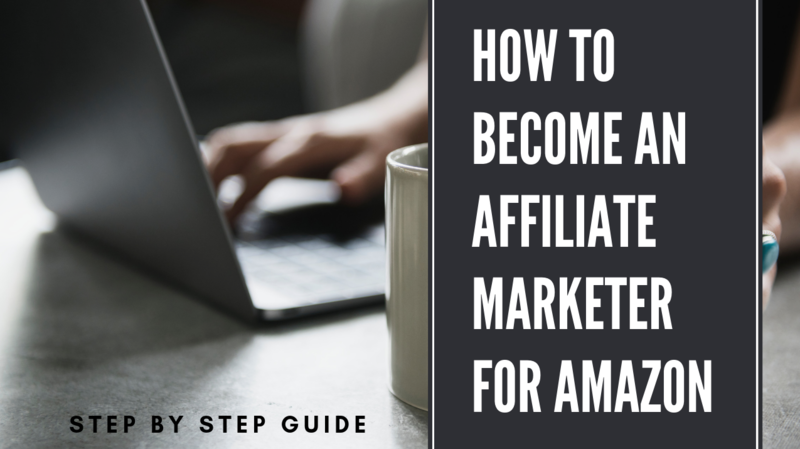 Being an affiliate for Amazon is just one of the many choices out there, but it is a good way to get started because Amazon is an absolute ecommerce powerhouse. Everyone knows Amazon and no matter what you are looking to promote, you can find it here. *I think they sell somewhere around 700 million products right now. Ridiculous I know. The commissions they pay are far from the greatest you can find but I definitely won't be telling anyone to avoid becoming an affiliate with them. A lot of people start out here because of the simple fact that it is an easy choice. But anyways... lets move on to the steps of becoming an affiliate marketer for this ecom giant. It's going to be fairly lengthy so feel free to use the quick navigation links below to jump to certain sections if you are impatient. Step 5: Now It's Time to Promote... Even Though You Aren't Approved Yet! With the Amazon affiliate program, which is actually called Amazon Associates by the way, you can't just go sign up right away just because you feel like it. If they let everyone sign up and just start promoting their products like madmen they would really hurt the image of their brand. There are first a few things you are going to have to have in place beforehand or else they aren't going to accept you. The very first thing that you want to decide before doing ANYTHING else is to figure out what type of products you want to promote. I highly recommend you focus on a specific "niche", which is nothing more than a targeted market segment. And thousands more... the list is endless! There are so many niches out there that I'm not going to get too in-depth with this list. What do you have an interest in? Do you like dogs? Do you like some sport? Do you like video games? Do you like cooking? woodworking, paying piano, sewing, etc. etc.? Don't chase the money. I know some niches can be very luring and you may see nothing but dollar signs, but from my experience it is definitely better to start out in something you like. So take some time to think about what you really like. You are also going to want to keep your niche pretty narrow. This will make it less overwhelming and you will be able to become more of an expert in the particular niche. Instead of targeting the broad niche of 'health supplements', choose something more narrow like 'weight loss supplements' or 'cognitive health supplements'. And even these could be narrowed down more if you'd like. Instead of targeting the broad niche of 'dogs', target something more focused like 'dog food' or even more focused like 'natural dog food'. Now it's time to create a website now that you have chosen your niche. I know... I know... this sounds complicated. But don't worry, it's really not. This isn't 1997 anymore... creating a website is nothing to fear. You can also promote Amazon products via a Youtube channel or through a mobile app, but creating your own website is the route I went and the route I know very well... which is why that is what I'm teaching. And it is definitely one of the better ways to go. Websites are great. They are like your own little hub that you can do whatever you want with. You will be getting traffic to your site and then promote products from there. Don't Want to Spend Money? I completely understand. When getting started you don't want a lot of risk... and the good thing is that there are free blog sites out there that you can create a blog on for free. I suggest using SiteRubix. This website builder will allow you to easily create a site get started in no time. 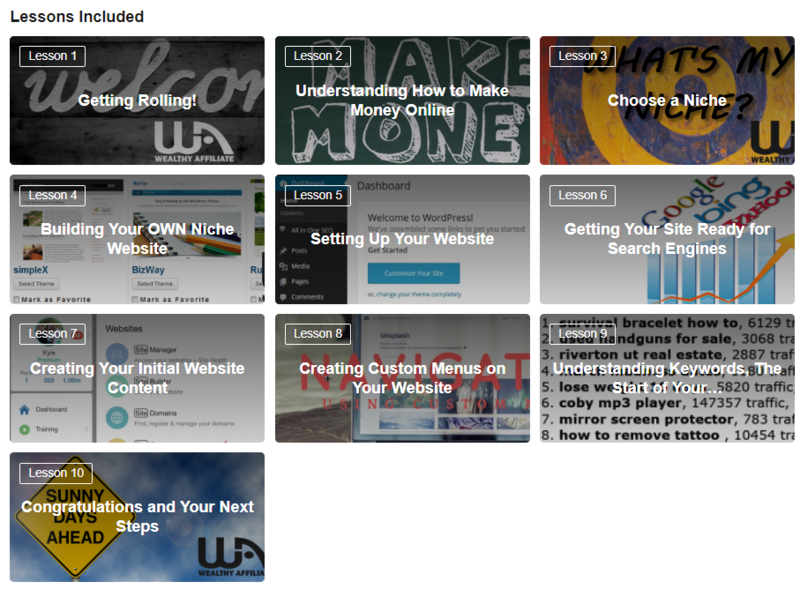 It's literally a few clicks of the mouse to have the basics of your site up... couldn't be easier. *Wait til the end. I'll go over the easiest way to get it all started with the tools you need. Choose a website name that is related to your niche. For example: if your niche is dog toys you could go with the name 'dougsdogtoys' (if your name is Doug) or 'doggydelight' or whatever you can think of. Get creative with it. Now you have your site up it is time to create some content. This has to be done before you can get approved by Amazon. They of course aren't going to like the looks of a bare-bones site. You are going to want to write about things that have to do with your niche. However you aren't going to just want to write a bunch of random articles that come to mind. A keyword research tool is what you use to find good keywords to write about. I'm not going to get into detail, but basically what it does is helps you rank your articles higher in the search engines. *Again, I'll be going over what I suggest using at the end. Writing content on your site and getting traffic go hand-in-hand. When you write content, if you use a keyword research tool and use it right, you will be able to rank high in Google and get people to come to your site when they are searching for things. As an example someone could be searching for the best outdoor dog toys and maybe come across an article you wrote called '9 Best Outdoor Dog Toys'. Then they might click on that and come to your site. Sure you can run paid ads, but that is a lot more risky for newbies and can really burn a hole in your wallet fast. Now that you have your site up and running it is time to apply for the Amazon affiliate program. It's a fairly straightforward process and nothing complicated really. You can get started on it here: https://affiliate-program.amazon.com/ but I'd wait until you finish reading this article so that you see how everything works and fits together. Now it's time to start promoting some products! The part you have been waiting for all along! It's all about getting traffic to your website… If you aren't getting much traffic then that means you need to put out more content and get ranked more in Google. But why would you be doing all of this before getting approved? What is the point of promoting Amazon products if you are not even part of the affiliate program yet? Well… Believe it or not this is how the process works. You first have to make 3 qualifying sales in order to move forward with the application process. After making 3 sales they will then review your application and either accept it or reject it. I believe it used to be just one sale back when I first applied in 2015, but they have since changed this. There are a lot of ways you can go about incorporating affiliate links into your content and promoting products, but one way that I often suggest is what I call the "web" design. You don't want there to be too many affiliate links all over the place. Google doesn't like this. So what you do is create many different articles and point them to a small number of articles that are promoting something. So it's like a big web catching all sorts of traffic and funneling it into a select few pages where you do have a bunch of affiliate links. You don't have to do this all the time but I think it helps because it keeps your site cleaner and less saturated with such links. If you get rejected, which is not very uncommon, this is usually because your website just doesn't provide enough valuable content. Amazon is looking for some unique content. They don't want a website that just re-states exactly what the product descriptions are for products listed on Amazon. They want you to provide additional value. So give your own opinion on things. And it definitely do not copy and paste… Always re-word as best you can. If you got rejected you can always improve your website and then re-apply later that is what you wish to do. A one of the tips that I am giving here are pretty much things that are common sense. If you focus on providing real value and helping out people, and you put in the work, then you more than likely are going to see success from this.... Assuming that you have done your keyword research correctly and are promoting relevant products. So obviously you are going to want some formal training when it comes to all of this. You don't want to go out and spend a bunch of time building out your website, creating content, only to find out that you have been doing it wrong. And in addition to this you are also going to need tools, such as a platform to build your website on and a keyword research tool so that you can get ranked in Google. Wealthy Affiliate is in affiliate marketing training platform that also provides all the tools necessary to get started, such as a website builder and keyword research tool as mentioned above. Basically it is like an "all-inclusive" type of deal where you everything you need and don't have to go out elsewhere… Which makes it incredibly easy for beginners to get started. And the awesome thing about it is that they have a free Starter Membership where you can get started without even entering your credit card information or anything. ... they provide it all. And the reason I am recommending this place and like it so much is because this is actually where I started out back in 2015. And now I make a living doing this stuff and am very grateful for that. At the very least you could create a free account and give it a "test drive" to see if you like it or not... and if not you can walk away no harm done. Take care and I wish you the best of luck on your affiliate marketing journey. This can potentially be a lucrative opportunity but you must have patience and don't expect to "strike it rich" right from the start. So it’s the end of November and I’m guessing that you probably have been seeing the promotion everywhere. Maybe you’ve seen it advertised online, maybe you have been bombarded with emails about it… But what the heck is going on here. Is this some sort of Wealthy Affiliate Black Friday scam? 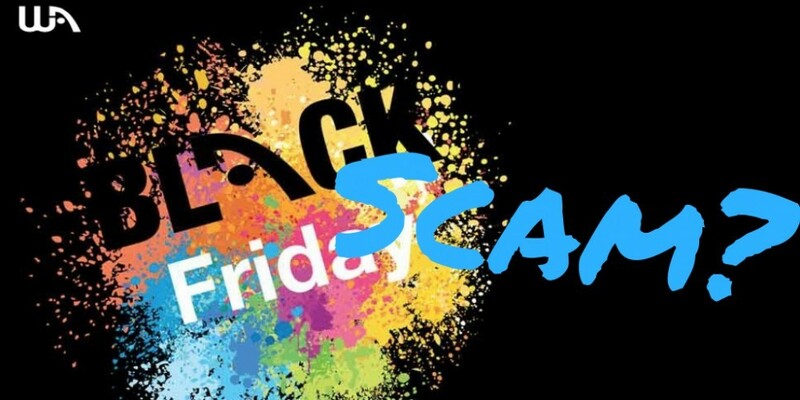 After all, while Black Friday is well known for its incredible deals it is also well known for incredible scams. Is this just another one of them? In the short post I want to go over what exactly is going on with this Black Friday special that Wealthy Affiliate is having and why it is being promoted so heavily. I’ll let you know what the upsides and downsides to it are and hopefully paying a more clear picture for you. Wealthy Affiliate In a Nutshell.. In short, Wealthy Affiliate is an online business training platform that is mostly focused on affiliate marketing. The reason I call it a “platform” is because they are just your typical training program that provides the training and leaves you having to go out and buy the tools necessary. Wealthy Affiliate takes sort of a “holistic” approach and provides the tools needed to implement the training and be successful. As a member you get access to the step-by-step tutorial training, tools like the website builder and more, technical support and access to the community where you can network with thousands of other like-minded individuals, some of which are veterans and have been making money doing this for years. So you know what Wealthy Affiliate is, but what is the deal with this Black Friday sale? Why is it being promoted by everyone as the greatest thing ever? What’s The Deal With the Black Friday Sale? The Black Friday sale that Wealthy Affiliate is having doesn’t give you anything extra. 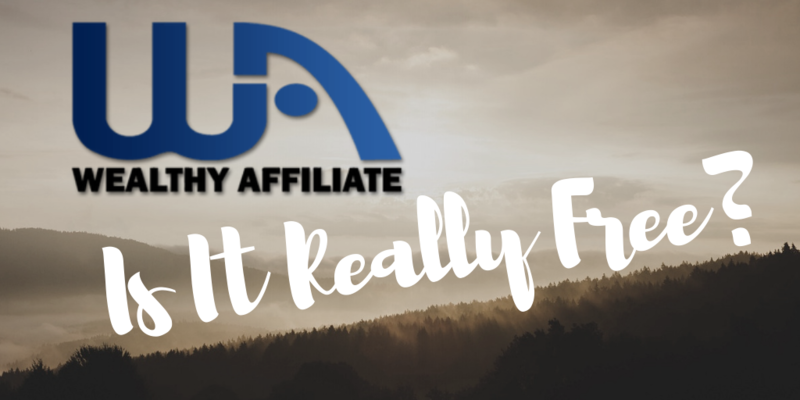 So you probably know that there are two memberships available at Wealthy Affiliate… They have the free Starter Membership in the paid Premium Membership. The free membership is a great way to get started, but if you are serious about making money online then upgrading to premium is pretty much a necessity. You can save a good bit of money if you pay on a yearly basis, but that is still $359 a year. HOWEVER, with the Black Friday sale you can save even more and become an all-inclusive Premium Member for $299. In one of the nice things is that when this time rolls around next year, you can pay the same $299 for the following year, and every year after that. You always get to pay that discounted price and the money you save can really add up. So maybe you or a complete newbie. Maybe you just joined Wealthy Affiliate and are still a free Starter Member or maybe you haven’t even joined yet and are just thinking about it. If this is you then you can potentially save a lot of money right off the bat, because this opportunity only comes around once a year. HOWEVER, you also have to be careful. Since you are new to this you don’t really fully know what you are getting involved with and the last thing you want to do is spend $300 on something that you later find out isn’t a good fit for you. So if you are a newbie looking at this offer… Be careful. If this is something you see yourself doing for a long time in the future, then go for it, but if not then it may be a better idea to just become or stay a free Starter Member and test out the waters more to get a better feel for the system. And then you have the people that are already paying Premium Members but are looking to save a little extra money. You would think this would be every Premium Member that exists, because he wouldn’t want to save some extra money, but I only recommending taking advantage of this Black Friday offer to certain premium members. Similar to what I just said, I would only recommend taking up this offer if you are a Premium Member that can picture yourself doing this for a while in the future. If you’re still hesitant that you want to build an online business with Wealthy Affiliate long-term then it may be a smarter choice to just stay with the monthly payments so that you won’t lose as much money if you quit. However, if you are someone that is serious about this and foresee yourself working from home in the future, then why not take advantage of the discount offer? Even if you are already a paying Premium Member you can still take advantage of this offer and in the future you will only have to pay the discounted $299 price every year. If you follow the training, but in the work, and eventually go on to make good money with this, potentially even making a living out of it, then is it worth it? I bet you would say Heck Yeah… But if you start the training and slowly fade away, losing focus and eventually giving up, is it worth it? The answer just depends on the results that follow, which of course you will not know before-hand. That said, the potential that it gives you to make money online can definitely be worth the leap of faith and the initial investment. It was worth it for me..
Now if you have never been to my blog before then you probably don’t know who I am or my story. And I guess I should’ve introduced myself earlier… My name is Kyle and I’ve been making money online since 2015. 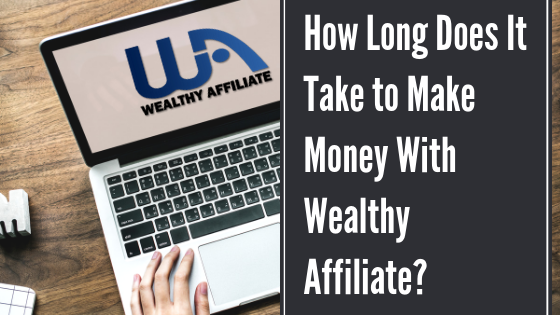 To make an incredibly long story incredibly short, I started looking for ways to make money online back in 2015 and wasted a lot of time before coming across Wealthy Affiliate, which I decided to give a try because it seemed promising. And now I’m here making a living online, consistently over $6000 a month and often times much more than that which you can read more about here if interested. So was it worth it? For me it was most definitely and I attribute much of my online success to having found this training program in the first place. So obviously this isn’t a scam. It is just a nice discount on the normal Premium Membership that is offered. And as you can see Wealthy Affiliate can definitely be worth the investment. I am just one of the many people I know that have been successful with the program and have been able to turn their online business into a sustainable money maker. You can definitely make money with Wealthy Affiliate. However, there are a lot of variables at play and there are definitely a lot of people that fail. What you need to know before hand is that this definitely takes a lot of hard work and if you are not motivated and really focused, if you only “kinda sorta” want to make this work, then there’s a good chance you could fail as well. But anyways… I hope this short post help to put everything into perspective a little better for you so that you now know what exactly this Black Friday special is and whether or not it is something you should take advantage of. The discounted price is great and all, but the last thing I want to leave you with here today is that this is not something you have to jump into. Only buy into the offer if you are serious about this and foresee yourself doing this for an extended period of time in the future. What is the Wealthy Affiliate Black Friday special and is it really all that "special"? Maybe you got an email about the Black Friday special that Wealthy Affiliate is having from me or somebody else, maybe you saw an ad for it, whatever the case… I'll tell you all you need to know about it. My Story - From $0 to Over $6k Per Month! As you see from the title, I am now making over $6000 per month thanks to Wealthy Affiliate. This all comes from working online implementing what Wealthy Affiliate has taught me and using the tools this place has provided me with. So if you are wondering if you can really make money with Wealthy Affiliate, the answer is YES. I started out back in 2015 with absolutely no experience and no one to help me. After stumbling across Wealthy Affiliate, I soon realized it was a game-changer. To make a very long story very short, it took me a while but I now make a living working online and I am very grateful for having come across Wealthy Affiliate in the first place and for not having given up early on. And when I say I make "over $6k" per month I am actually speaking on the conservative side. You can see from the example below that I sometimes make well over $6000 in a given month, but I just say $6000 because I have been consistently making over this amount for a while now. Below you can see some of the many screenshots of the money I make online, going into my PayPal and bank account. *I'm not going to get into what these companies are and what types of products I'm promoting to make this money. Just know that this money is made via affiliate marketing, which is when you promote products online and earn commissions when you help make sales (which is what is taught at WA). These are just some of the many examples I can give you from my many online streams of income, not counting others like Amazon Associates for example. 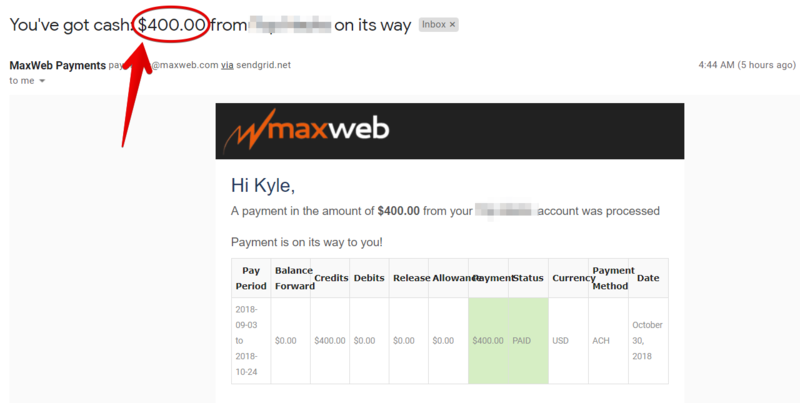 Waking up to emails like that pictured below happens on a regular basis… And it is all the result of hard work and the help from Wealthy Affiliate. Wealthy Affiliate is an affiliate marketing training platform that provides both training and other resources, such as necessary tools, to become a successful affiliate marketer. And as I mentioned above, affiliate marketing is when you promote products online and earn commissions doing so. Affiliate marketing is something that many online marketers get started with because it is particularly good for beginners, being that it is pretty simple. Just think about it… All you do is promote products that already exist. There is no need for product creation or anything like that. Additionally, it can be very inexpensive to get started with. But anyways, back to Wealthy Affiliate. I'm not going to go into detail here because, like I said, you are probably familiar with this place already, but if you aren't you can read my full review on Wealthy Affiliate here. And you can't forget about the 2 free websites + hosting you get!, which makes it super affordable to get started with (costs nothing). You have a supportive community by your side, which is awesome because being able to communicate with others in the community is a huge help and the value of this has no price tag. And of course you have tech support, which is a must when it comes to doing this online stuff. 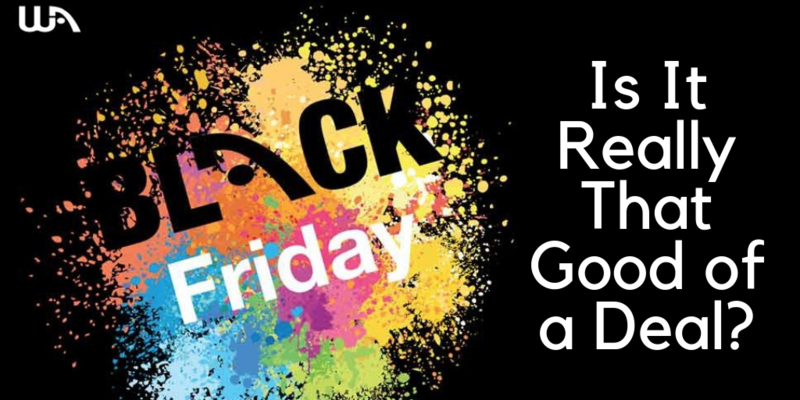 There is a lot of value here, and normally this costs a pretty penny (although still well worth the value in my opinion), but with the black Friday special you can get everything Wealthy Affiliate has to offer at a massively discounted price. Is The Wealthy Affiliate Black Friday Special Really All That Special? The normal price of being a Wealthy Affiliate Premium Member is either $49/mo or $359/yr. The yearly payment option gives you a massive discount over the monthly payment option, but the black Friday prices even better yet. With the Black Friday discount you only have to pay $299/yr and this price stays the same as long as you are a member. So the year after that you can renew your membership at the same price. Now that still may sound like a lot to you, but think about it this way… That is only $25/mo which equals out to being around $0.81 per day! Just $0.81 per day!... Seriously? Now think about that for a second… $0.81 per day. That is much less than many people spend getting coffee every morning and might even be less than buying snacks at the gas station when you don't really need any, or even crazy things like driving with your tires not inflated properly (which gives you less gas mileage). The point is that $0.81 a day is a very small price to pay for everything you get. All of this and more is what you are getting. Sure, that cup of coffee or tea that you may or may not be getting every morning might give you a boost to get you moving and help you accomplish more, but Wealthy Affiliate is investing in yourself... Investing for a better future. But There Is No Such Thing as a Free Ride! So the Black Friday deal is great and all. Even without this deal I think the price of Wealthy Affiliate is well worth it. HOWEVER… It is only worth it if you are willing to put in the work to make it work. There is no such thing as a free ride and to be successful at Wealthy Affiliate you have to take action, implement what is gone over in the training, and really put effort into what you are doing. Making money doing what we do at Wealthy Affiliate is not what I considered to be "easy". Affiliate marketing and what is taught there is definitely one the best ways for beginners to get started online, but then again there are no "easy" ways to make money online, or at least none that I know of. This is definitely no "get-rich-quick" scheme and you certainly will not get-rich-quick from it. If you go in with the mindset that you well, you will likely end up discouraged, disappointed, and will probably end up giving up. That said, if you are willing to put in the work to make this happen, and you are serious about this, Wealthy Affiliate could be one of the best choices you ever make. It was for me and the screenshots of my affiliate earnings, which actually totaled $7,104.90 for the month of September (as shown in the beginning), explain it all. It has been well worth the investment. Already a Member or Will You Be New? Something else I think I should mention is that whether you are already a member, or will be joining Wealthy Affiliate for the first time, you can take advantage of this special discount offer. Even if you are already a paying Premium Member you can do so. In fact, I joined back in October 2015 as a premium member, paying on a monthly basis ($49/mo) and then when the Black Friday sale came around in November I took the offer to pay $299/yr, which I am still doing on a yearly basis. So whether a free Starter Member, a Premium Member, or not even a member yet… This is well worth the investment if you see yourself at Wealthy Affiliate for a while. In other words, if you are serious about making money with Wealthy Affiliate then this is a great opportunity to save a bunch of money. 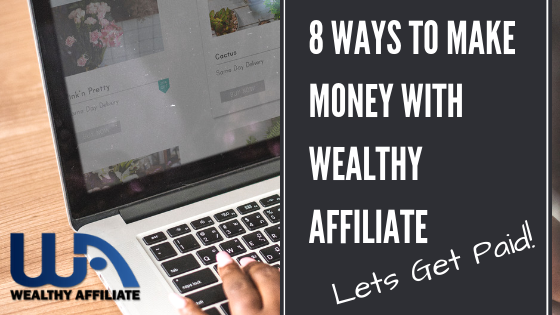 Is Wealthy Affiliate really free? I know people say it is, but is it really? Well… As you can see from the title of this review, it isn't really… But it kinda is. I know, I know… This doesn't make sense, but throughout the short post you will understand what I am saying. In a nutshell, what I mean by this is that Yes, there is the free Starter membership inside Wealthy Affiliate, but this isn't going to do you much good all on its own. While it is technically possible to make money with this, you more than likely won't. But anyways, I will go into detail on all of this so that you have a better idea of what you're getting into. I have been a member of Wealthy Affiliate for several years now, so I know what I'm talking about when it comes to this and I'm not going to sugarcoat it. The Big Question: Will You Be Able to Make Money With It? Wealthy Affiliate can best be summed up as an online affiliate marketing training platform. However, this is not your typical affiliate marketing training program. I call it a "platform" because there is more than just training, similar to Solo Build It. Wealthy Affiliate also provides the necessary tools to make money with affiliate marketing, such as free websites and hosting (these are actually free). Basically, Wealthy Affiliate is like an "all-in-one" type of deal. While there are lots of other online marketing tools you can go out and buy separately, Wealthy Affiliate provides all the necessities. There is a good research you hopped on Google, Yahoo, or Bing to do some research on this after coming across Wealthy Affiliate being promoted as "my free recommendation", "100% free training", "get started for free", and so on. I'm even guilty of this. When I first started out promoting WA I definitely wasn't the most honest person online and was just looking to make some quick money. However… Things have changed over the years and a lot of what I see in online marketing is pretty disgusting. There are a lot of people out there promoting Wealthy Affiliate and not all of them do so in a very honest way. While it is technically true that you can "get started for free", many of the people promoting Wealthy Affiliate leave out a lot of important details… Details that most people wish they knew beforehand… Details that I will be sharing with you here. WA has to memberships, their free Starter Membership and the Premium Membership that you have to pay for. Just about everyone starts out with the free Starter Membership because it provides the beginning of the training at WA. There isn't really any point in paying for the Premium Membership early on, because you are going to have to go through the beginning training regardless. Sounds pretty good right? Yeah… That's because it is pretty good. 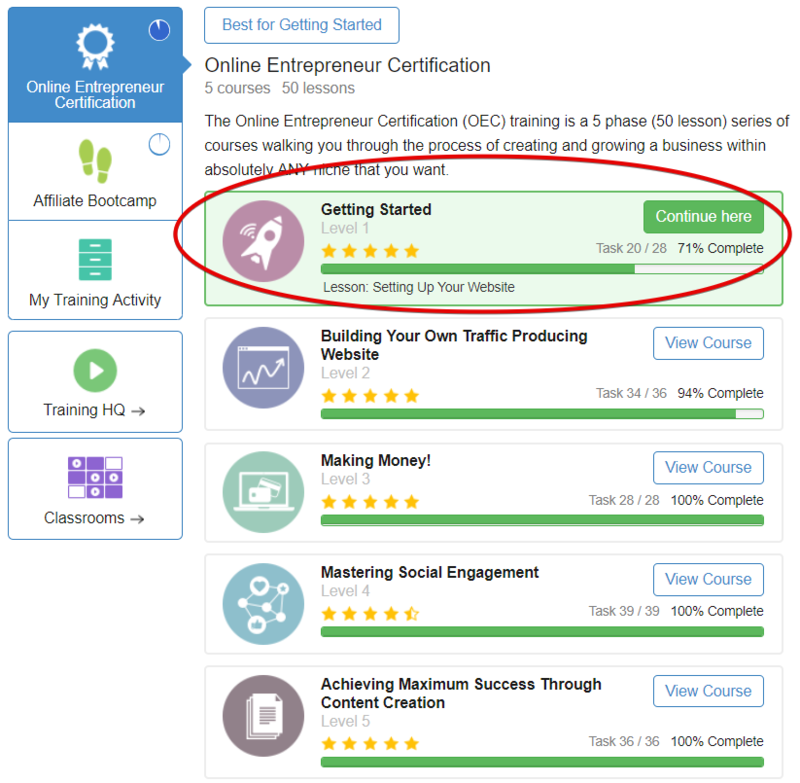 With this membership get access to the first course of the Online Entrepreneur Certification as well as phase 1 of Affiliate Boot camp, you get to free websites and hosting, use of the website builder, and limited access to Jaaxy which is the keyword research tool. However… Can you actually make money with all that you are provided in the free Starter Membership? This is the big question that needs to be answered. If the answer is yes, then claims that Wealthy Affiliate is free would be the honest truth with nothing left out. However, if you can't make money with this free membership is then calling WA free is a bit misleading… Because only part of it is free and the part that is going to make you money you have to pay for. So will you be able to make money with the free membership? Unfortunately based on what I have seen over the years and based on my own experience, it would be highly unlikely that you make any money while you are a free Starter Member. If you want to make money with affiliate marketing then it you more than likely are going to have to upgrade to the Premium Membership which will unlock a lot more training, support, and use of the tools. *NOTE: As a free Starter Member you will get access to some Premium features for the first seven days. But after that your account will be downgraded so that you get the bare minimum. One of the reasons you will likely not make any money as a free member is that, as a free member, you will only get access to .SiteRubix websites at WA. The two free websites that you get are these .SiteRubix sites. This is nice and all, because it allows you to get started for free without purchasing your own domain, but this will greatly hinder your ability to make money. What are .SiteRubix websites exactly? They are what you call "subdomains". They are not independent personally and domains. They are basically domains that are part of a main domain. So .SiteRubix is the main domain, and your site would be the subdomain. For example, your website would appear as yourwebsite.siterubix.com, with your domain in front of the main domain. Why is this a problem besides looking weird? Well… There is talk in the online marketing world that subdomains do not rank as well as main domains, but I don't really know how true this is. The main problem with subdomains is that you will not be able to get accepted to many different affiliate programs and you also might be able to make money with advertising services such as Google AdSense. The reason for this is that affiliate programs and Google AdSense will want you to have your own domain. When you have a subdomain you don't actually own it and you are not in full control of it. This is at least what I understand to be the reason for many places requiring urine domain. Another major reason why you will likely not make any money with the free training is because the training is very limited. You will enjoy access to the entire level 1 of the training, which is awesome, but this will give you much more than a foundation. The entire Online Entrepreneur Certification course is 5 levels, each consisting of 10 lessons. You get access to the first 10 lessons, but the other 40 lessons you do not. Only getting access to 1/5 of the training is obviously going to greatly hinder your chances of success. 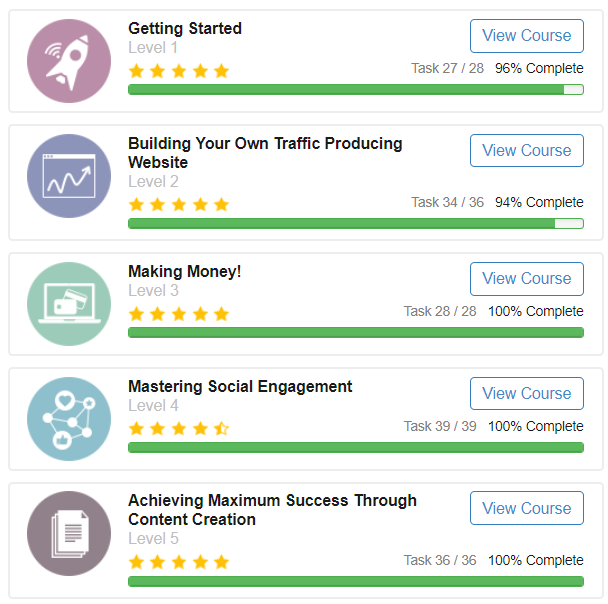 And this is just with the core training… The Online Entrepreneur Certification training. You also will be limited on the Affiliate Bootcamp training and you will not get access to the weekly live training and more. The training gives you all the basics, such as understanding the process of making money, choosing a niche, building your website, studying up that website creating some content, getting the menus set up, and basics of keyword research… But you don't learn how to best incorporate affiliate links, write effective content that converts, how to really connect with your audience, increasing conversions, and a lot of other intermediate and advanced stuff. You just learned the basics. If you are completely new to this and would go through the entire first level of the training and then decide that you can take it from there… And not upgrade… You will likely veer off the path and make a wrong turn at some point, which will just lead to a lot of wasted time. This beginners training is great and all, but this isn't even close to all that Wealthy Affiliate has to offer. In fact, beginner stuff like this can pretty easily be found elsewhere online for free… Very easily actually. As a free member you will also have limited use of the tools available at WA. For example you will only be able to get to use the keyword research tool, Jaaxy, with limited access. You will only be able to perform 30 keyword searches with it which is a nice little trial, but doesn't provide you with much ability to really do research and find some good targeted keywords. Now if you are completely new to this all then you may not know exactly what keyword research is, or how important it is, but you should know that it is extremely important. Keyword research is how you target specific keywords and rank high in the search engines. Without it will be spinning your wheels posting in the same place. You can write the best content in the world, but if you aren't targeting good keywords then it is probably going to better to have not written it at all. So a good keyword research tool is absolutely necessary when it comes to this business model.. And 30 free searches just isn't going to be enough moving forward, although it does give you a good feel for things and a good start without any risk. You will also not be able to purchase your own domain and host it there, which as I discussed above is pretty important. Another limiting factor is how I see free member you will not be able to receive the abundance of community support that Premium Members have available to them. Getting support from like-minded members that are going through the same thing you are going through, or have already been through what you are going through, is something that should not be overlooked. When I first got started I received a good deal of help from the community and I don't know if I would have made it without them. As a free Starter Member you will not have the ability to send people private messages. This rate they are really cuts back on your chances of getting the support you need. In addition to that, you only be able to get access to the beginner level of the training course and because of this you will only be able to participate in the discussions that follow those beginner lessons. At the end of each lesson there is a discussion area, or common area, in which people often ask questions and get help. Of course you will not be able to do this for any of the more advanced training because you do not have access to that. *You will also not have the tech support that you will likely need somewhere down the road… When you encounter some technical problem with your website, which you are bound to sooner or later. The best way to think of the free membership is as a test drive. While it is unlikely that anyone will make money as a free member, it is still better than nothing. Wealthy Affiliate is not obligated to give away a free membership. This free membership allows you to test out the system risk-free. You have absolutely no money invested when you join and you can get through the beginning stages to see if it is something you think you would like and want to move forward with. If it just isn't for you, then no harm done… You can quit without having lost any money. And if it is something you want to continue with… Then you can become a Premium Member to move forward. The only thing is going to cost you is time. Of course you have to sacrifice a little bit of time to test it out, and you could say that time is money, but at least it is free when it comes to money directly. With the free membership you will be able to really get to know the process and how everything works. As I discussed above already, with the training that you are provided with you will be guided through the steps of choosing a niche, building a website, creating some first content, doing some keyword research and so on. Although this training is very basic and for beginners, you will at least learn the basics of things to get a good idea of this business and will thus have a better idea of whether or not this is something you want to continue with. So now I want to talk about the "not free" part of it… The Premium Membership and what all you get with it. Becoming a Premium Member it definitely has its advantages. There isn't any guarantee that you will be successful and start making good money as an affiliate marketer after becoming a Premium Member, but it gives you such an advantage over the Starter Members that it isn't even close. There are many benefits when you are premium. All of the problems with the Starter Membership I discussed above, that will greatly hinder your chances of making money, are no longer problems as a Premium Member. You will be able to use your own domain, you will get full access to all the training, you will have more tools at your disposal, and you will get all the support you need. In addition to that you also get access to the live weekly trend classes that go on every Friday. These are on various aspects of online marketing and you can always get some helpful tips. It is also nice they can ask questions in real time on these live webinars which can be a big help. You will also get access to all 12 of the training classrooms that cover everything from website development & programming, to social engagement and marketing, to email marketing, video marketing, PPC and more. This classrooms are filled with training… Much of which has been created by members of the community, many of them which you could call "experts". As a Premium Member you will get much more access to Jaaxy, the keyword research tool I talked about. As you already know, this is incredibly important. If you do not have a keyword research told and you are trying to make money online as you are taught at Wealthy Affiliate, you simply will not succeed… There's no way around this. Keyword research tools allow you to analyze keywords and find ones that are good… So that you can rank high in the search engines and drive free traffic to your website… Which of course you will need to make money. There is still the ability to upgrade to a higher membership inside Jaaxy, but this is not necessary. You absolutely have enough of what you need to make money with the access to get to Jaaxy as a Premium Member. There are multiple ways that you will be able to receive support. You will have 24/7 tech support at your side through what they call SiteSupport. I have used this support tens of times over the past years and have never had a problem. As I stated earlier… YOU WILL run into tech problems somewhere down the road and you will likely need tech support when these problems arrive. You will also be able to send private messages to people directly, which is how I communicate with a lot of people at WA. And if there is a specific question you want to ask the community, and possibly get many answers, you can do that as well. Something that I didn't mention earlier, which you don't get access to as a free member, is the live chat. This is something that can be incredibly helpful for beginners because you can hop on the chat and receive help within a matter of seconds. It doesn't really matter what time of the day you hop on there, the live chat is usually pretty lively and you can usually expect to get help very fast. And of course since you have access to all the training, you will also be able to participate in the discussions below each training lesson. So as you can see… Wealthy Affiliate is only partly free and the free part will likely not make you any money. If I, with my years of experience in this business, decided to join again as a free Starter Member then I absolutely could make money with what is provided… The free .SiteRubix websites, limited use of the keyword research tool, and the limited training… But that is only because I already have a lot of experience under my belt. I am already part of affiliate programs so I would not have to apply to new ones and a personally owned domain would not be entirely necessary; although the keyword research tool would still be limited, I would already know what I am doing to make the most out of my 30 free searches; and of course I would already have a lot of experience in know a lot more having already went through training. But if I could go back in time to when I just started, I can pretty much guarantee that I would never have been successful had I not upgraded to Premium. The free Starter Membership gives you a lot of great free stuff and allows you to test out the system, but it does not provide you with that extra push to keep you on track and hope you get to where you need to be. So next time you see someone claiming that Wealthy Affiliate is "my 100% free training" or something along those lines, don't fall for that crap. These people are just trying to make money a little more easily and unfortunately in the world of online marketing somewhat deceptive tactics like this have become commonplace. Not a Member Yet? You Can Join Wealthy Affiliate Here & Get Started as a Free Starter Member (remember to think of it as a test drive). Anyways… I hope you enjoyed this post and I hope it cleared the air on a few things, allowing you to walk away with a better understanding of what exactly you are getting as a free member and what you can expect. If you like that, share, if not you don't have to. Solo Build It (Solo Build It!) is said to be an "all-in-one" platform for building a profitable online business, but is this place really worth getting involved with? Can you really become a "solopreneur" by following the step-by-step training and simply doing as you are instructed? 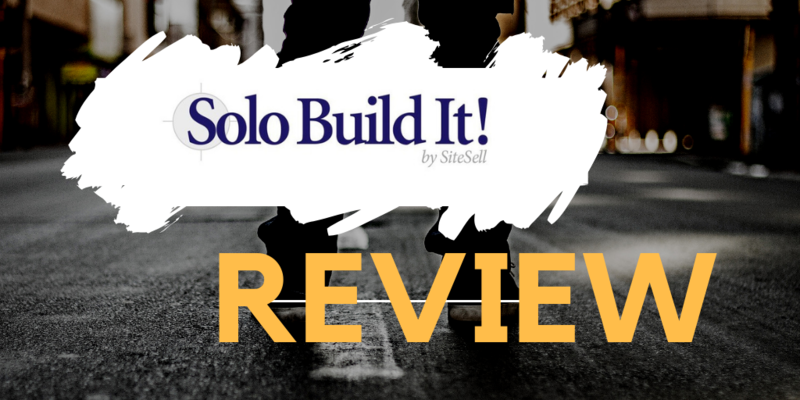 What is Solo Build It exactly and is it a scam? All these questions are important and should definitely be answered before getting involved in a training program like this, which could cost a fair amount money and take up a lot of your time. In this in-depth review I'll be providing you with all of the information you need to know, good and bad, so that you can make a more informed decision for yourself of whether or not this is right for you. Is This a Smart Path for Beginners? Solo Build It, or SBI as I will be referring to it, used to go by the name Site Build It in was founded way back in 1997 by Ken Evoy. It wasn't until 2017 that the name changed to SBI. SBI is an online marketing training platform that provides step-by-step training for teaching people how to build their own online business, and ultimately make money with it. In addition to the training it also provides the tools needed to make all of this happen. Membership is available at a monthly or yearly price, being $29 per month or $299 per year, which may seem like a lot but really isn't considering what all you are provided with. Overall I think that SBI is a good program, definitely not a scam, but there are other options out there as well as I will go over in this review. As I said, SBI is in online marketing training platform that provides you with the training and tools for creating a profitable online business, which is why it is referred to as an "all-in-one" platform. One point that they really try to make clear in promotional material is that SBI does not just teach you how to build a website, but rather build a business that you can monetize. This is likely the reason that SBI changed from "Site Build It" to "Solo Build It", or at least that is what many people think. Building a website is a necessary part of the process, which you do learn, but is still just one part of the process, just one piece of the puzzle. There are a lot of different approaches you can take to make money online when it comes to building out your own website… But what is the focus of SBI? I'll go over this and a lot more detail below, but the focus is on building a website around quality content, with the hopes of ranking in search engines such as Google and Yahoo, thus attracting free traffic to your website which you will then be able to monetize by advertising, promoting products, etc. The focus of the training is all around CTPM, which stands for content, traffic, presell, and monetize. Traffic - Of course every website needs traffic to make money and there is obviously going to be a large focus on this. Pre-sell - Pre-selling is all about gaining trust from your audience, getting visitors to trust you before you try to sell to them. Monetize - And of course the ultimate goal is to make money. When you join SBI the first thing you will do is get started with the Action Guide, which is a 10 day course that takes you from nothing, to being able to make money with your website. However, don't think that you will actually be making money in 10 days… This can be extremely misleading and just because your website has the potential to make money does not mean it is actually going to be making money. Day 6: ​Build a Site That Gets the Click! Finally... here you will set up your first method of monetization. What you may not know is that I make a living doing what SBI is teaching people to do… Getting websites ranked in the search engines and monetizing them via different methods. After all, you did come across my website here after searching around the Internet (via Google, Yahoo, etc.) did you not? So I can tell you with complete certainty that it would be incredibly unlikely, it very very very unlikely, that anyone is going to make any money in the first 10 days… And if they do it would be luck. Lets talk about this "all-in-one" stuff for a bit. It seems like a lot of different programs out there claim to be "all-in-one" but then often leave you needing more… So that you have to go out and buy some other service here or some other product there to make things happen. When it comes to SBI, they really are an all-in-one platform. I mean sure, there are always additional products/services that you can go out and purchase, but they provide you with everything that is necessary to building a business of this sort. So as you can see... this is "all-in-one". As I mentioned a little bit ago, I make a living doing this kind of stuff online, so I know what all you need to be successful with this type of business and this platform provides all of that. You have the training which is going to guide you through the process, you have the tools to help you build out a website, you have the tools to be able to find keywords that you can target so that you can attract free traffic through the search engines, you have social media told along with an autoresponder, etc. If anything, I would say that SBI actually provides more than is absolutely necessary. What you will be taught to do at SBI is create a website that will get ranked in the search engines and receive free traffic (visitors) whom you will then be able to monetize by advertising, promoting products, etc. First what you will have to do is come up with a niche, which will be the topic your website is focused around. Maybe you want to create a website around horses, maybe around gymnastics, maybe something specific like teaching dogs tricks, etc. The first step is figuring this out and making sure that there is the potential to profit. After figuring out what you want your website to be about, of course then you have to build the website. With the tools SBI provides you will be able to choose a design that you like from pre-made website templates. You will also be able to use BlockBuilder, which is the visual editor, to drag-and-drop elements of your website. The next part of the process is creating content that is going to rank in the search engines, such as Google and Yahoo. This content will be focused around the niche that you just chose. You will be able to use the keyword research tool provided to find keywords you will be able to rank with in the search engines. If this all sounds confusing, it really isn't. The take away here is that you will be writing blog posts/articles to get ranked in the search engines. And of course the last step is monetization. You choose a niche, you bill your website, and you created content that is ranked in the search engines. You now have traffic and it is now time to monetize that traffic. There are a bunch of different ways to do this, but two of the most "beginner friendly" ways to do so or by placing ads on your site and by promoting products. Of course the goal with all of this is to create a profitable online business, but is this something that is realistically possible? Well as you already should know, yes it is possible… Because this is how I make a living and I know many other people that do the same, not necessarily making a living but at least making some decent money with it. So yes it is realistically possible, but failure is also realistically possible. There are many advantages to creating an online business rather than a traditional brick-and-mortar business, but failure rates are still pretty darn high and there is no doubt that a lot of people end up failing. I'm throwing this info into this review because I think it is important that everyone knows they certainly aren't guaranteed success. Almost forgot... I wanted to explain a bit more on why you will NOT be making money in 10 days, as the training might make you think. The reason mostly comes down to this methods focus on ranking in the search engines. You need traffic in order to make money and the focus here is getting traffic from Google, Yahoo, etc. The problem is that none of the search engines rank new websites very well at all. So when you first start out the new website you can be doing everything right, but still not getting any traffic, or extremely little… This is just the way it is. You have to gain the trust of the search engines before they will start raining you while in before you will start getting decent traffic. This can take months, and certainly CANNOT be done in 10 days. I know how important it can be to have good support. Maybe you don't know this, but if you don't you will become aware. Unless you are a genius, you will get stuck at some points in the training and probably have a few technical problems along the way. Support is a must in without any support there is no doubt the failure rates would be much higher. 1) First off, they have a 24/7 support team on standby. These people will be able to help you with most things, but it is important to know that this is not some team of "gurus". 2) There are also private forums in which you can use to communicate with other SBI members. This is something that really can come in handy because you can talk to others who are going through the same process as you, or maybe have already went through it and have been successful. In addition to this, there is also the Private Tips & Techniques Headquarters section which includes updates on what is going on, new developments, deleted content, changes, etc. within the program. For those of you who don't know, Wealthy Affiliate is another online business training platform that is very similar to SBI, and… I am very familiar with it because this is the program I used to get started you money online back in 2015. Overall, both programs are good. They both provide the training and tools necessary when it comes to this sort of online business. However, I would say that Wealthy Affiliate excels due to its much more lively/active community and it having more training overall. The community aspect is a big deal. When you are able to communicate with other people who are doing what you are trying to do, you can learn a lot in this can really help increase your chances of success. 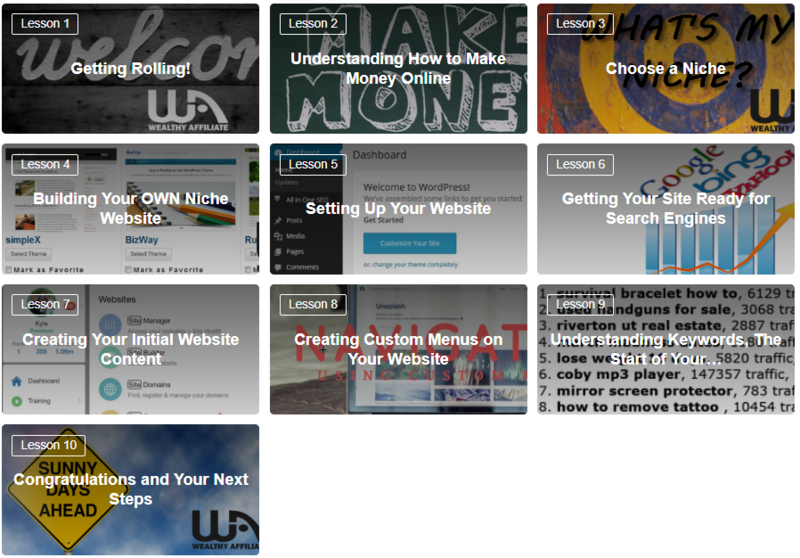 I also like at Wealthy Affiliate provides weekly live training webinars in addition step-by-step training that is already laid out for members. That said, one of the upsides to SBI is that they provide more tools. For example, they provide an autoresponder tool so that you can send out automated emails to subscribers, whereas Wealthy Affiliate does not. I wanted both provide all the very essential tools that are absolutely necessary for this type of business. I would recommend Wealthy Affiliate overall, mainly because this is the program I use to get started with the end is pretty much responsible for my success, but both are good. You can read my full Wealthy Affiliate review here for more information. I know a lot of people reading this are probably beginners looking to make their first penny online. But is this a smart path for beginners to take? In my opinion is one of the best ways for beginners to get started in the world of online marketing. It provides a very affordable and a low risk way to legitimately make sustainable money online. Most of the focus is on free traffic, so you don't have to worry about advertising costs and all of that. With both programs discussed above it is an all-in-one type of deal. Not only is this method affordable, but the focus also is mainly on promoting products and advertising as a way of monetizing your website, which means that you do not have to worry about creating a product, dealing with customers, etc. Affiliate marketing, which is when you promote products and earn commissions when you help make sales, is probably the most popular way for people to first start making money online and for good reason... It is one of the easier ways to go about doing so. Solo Build It is one of the few good online marketing training programs in a cyber world full of scams. The program is built around a legitimate improvement way to make money online, provides the training and tools necessary to be able to make money this way, and is affordable in price. Overall SBI is definitely one of the better programs out there. Because on the other hand we have Wealthy Affiliate which is another online marketing training program that teaches the same method the making money online. It is also affordable and provides all the training and tolls necessary. Both programs are good, but my recommendation would have to be Wealthy Affiliate. This is what I know works from years of experience, being a member there since 2015 when it all that started. Please leave any comments or questions down below and I'll get back to you as soon as I can 🙂 you enjoyed this review and found it helpful. If you are a member, or were a member of SBI, then I would appreciate your thoughts on it all as well. I'm sure they can benefit other readers of my blog here.